As Scotland prepares for the Pride Glasgow 2017 weekend on 19-20 August, five ScotRail trains will be displaying the rainbow flag in support of Scotland’s biggest LGBTI festival. The trains will be in service on the Edinburgh – Glasgow Queen Street via Falkirk route, and other routes across the country. The trains were unveiled by Managing Director Alex Hynes at Glasgow Queen Street station. 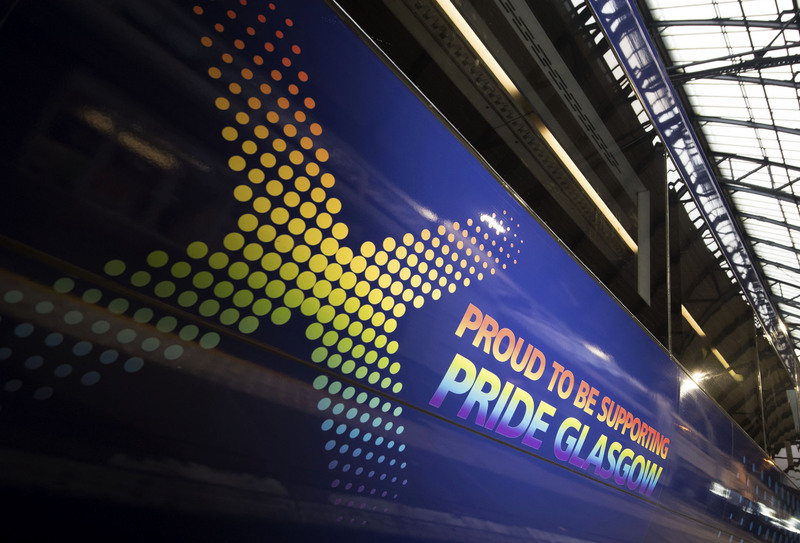 The ‘Pride Trains’ are the latest demonstration of the ScotRail Alliance’s support for Pride Glasgow, following the flying of rainbow flags and banners at Glasgow Central and Queen Street stations in the run-up to the 2015 and 2016 events. Around 40 ScotRail Alliance employees will join the 5,000-strong Pride parade on 19 August as it makes its way through the streets of Glasgow. 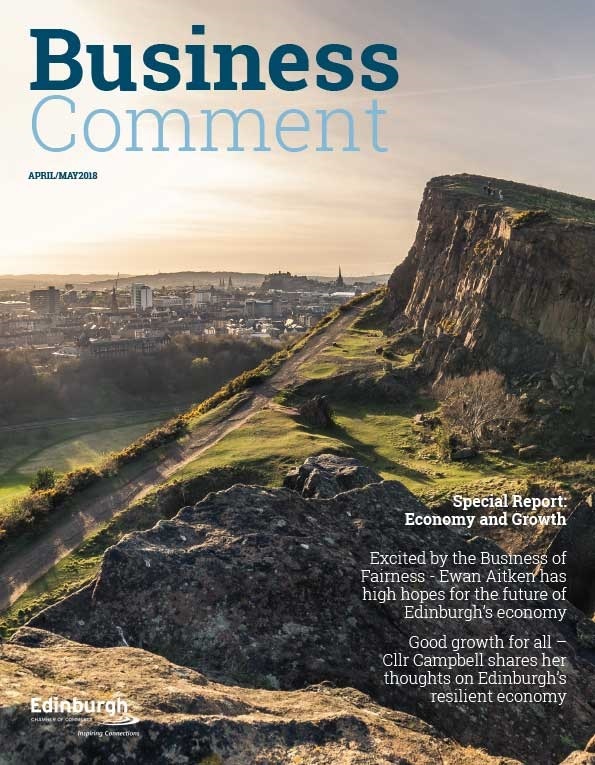 Queen Street Station has a large Pride banner hanging to demonstrate the ScotRail Alliance’s support for the movement, and members of the LGBTI community are being encouraged to consider careers on the railway through adverts in the Pride event magazine. To help some LGBTI youth groups take part in the weekend’s events, the ScotRail Alliance has also offered free rail tickets to allow their members to travel to and from Glasgow. “It’s great to see our trains fitted with the rainbow flag – a very visible symbol of the ScotRail Alliance’s support for the Glasgow Pride 2017 weekend and the wider LGBTI community. 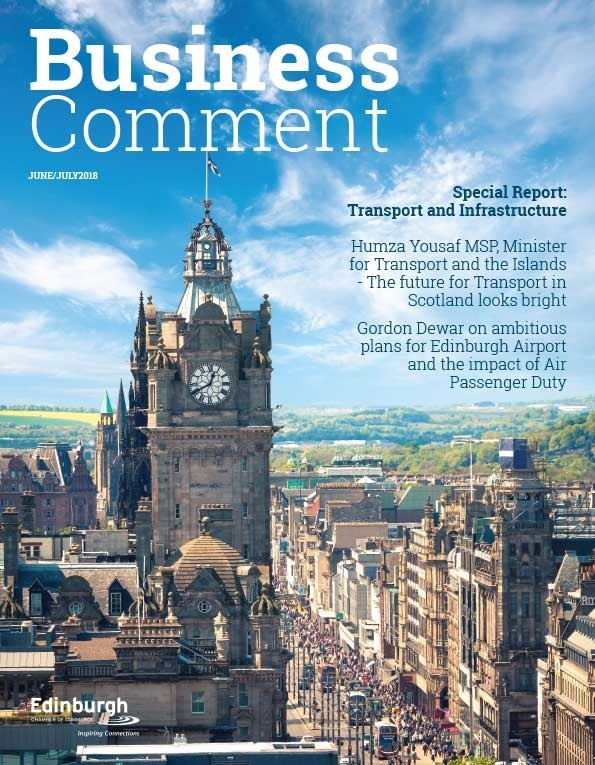 “Pride Glasgow is excited about further developing the relationship with the ScotRail Alliance, so that together we can ensure that LGBTI people feel safe on our transport systems.